In the summer of 2015 I stayed at a nice Airbnb room in Nagoya. The owner had a huge collection of books, magazins and other materials introducing Japan's culture. Unfortunately I only had one night there and couldn't take a look to all the books. However, two of them go very well together and got my attention - so much so that I later bought them myself. This book is quite interesting especially when trying to start living in Japan. 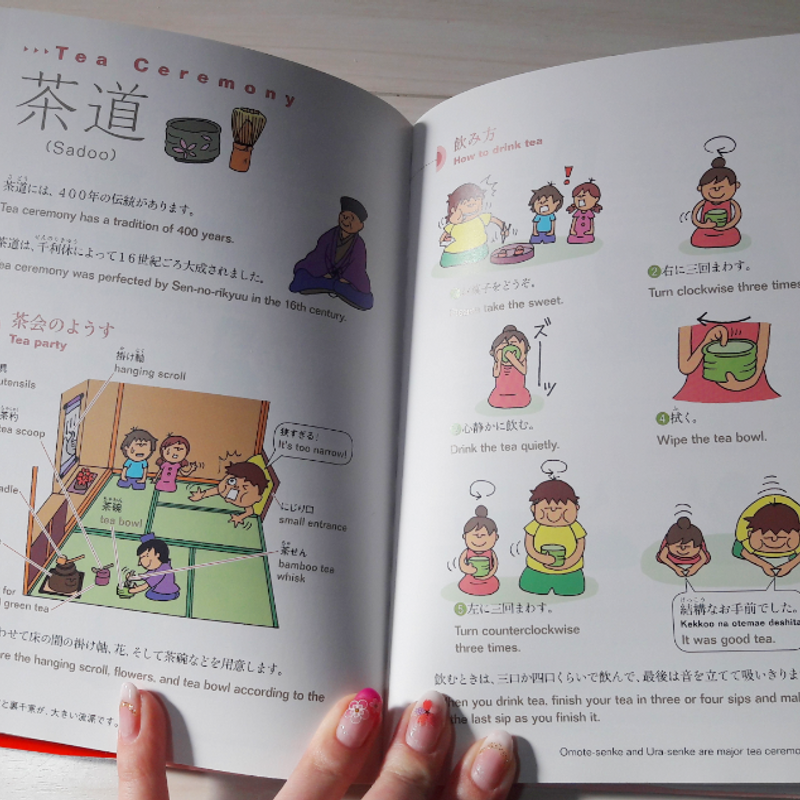 It teaches a lot about Japanese customs and etiquette and even gives you a lot of Japanese vocabulary and some sentences that you can use. The Japanese words are held in kanji, but the romaji written down too, so you know the pronunciation. In most cases a double page introduces to readers a certain topic and the range of these is pretty wide. Learn about riding trains, buses and taxis in Japan, what to take care about when staying at hotels and hot springs. and all about shopping at convenience stores, drug stores and other locations. For sure, eating out is also a huge topic. 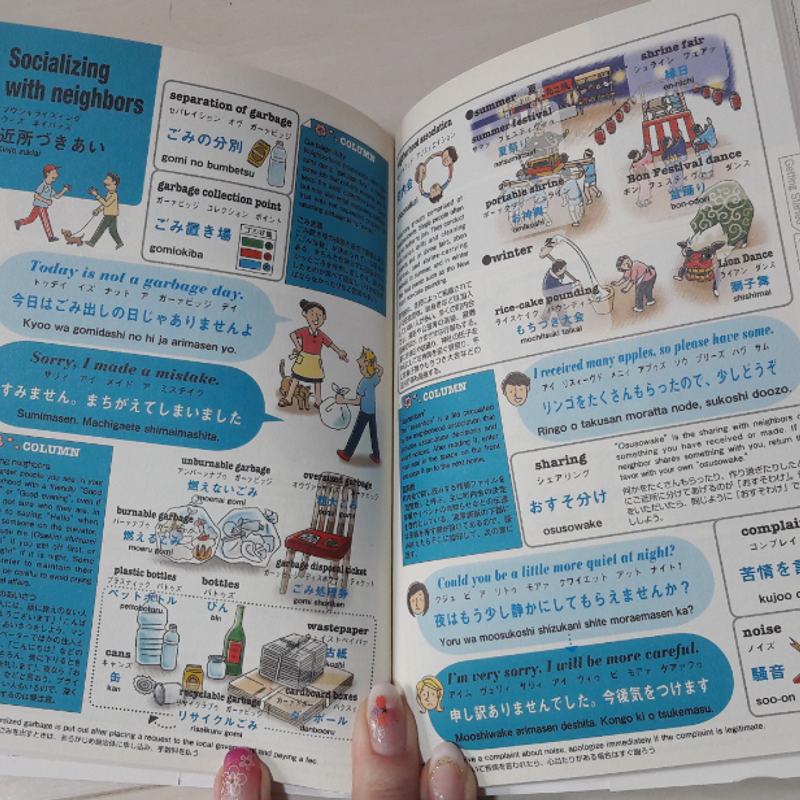 Most interesting for expats might be the "Getting Along" section about housing, moving, socializing with neighbors, school life, workplace etiquette and much more. I really like this book, because it has much information inside. The price for this book is ¥1,500. 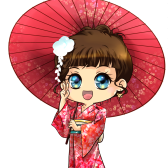 The second book is based around Japanese culture and tries to introduce it through pictures. All text is in Japanese and English. The book has six parts and covers many topics. Next to annual events and some sightseeing spots readers can get an insight into Japanese temples and shrines, Japanese swords, tea ceremony and food culture. 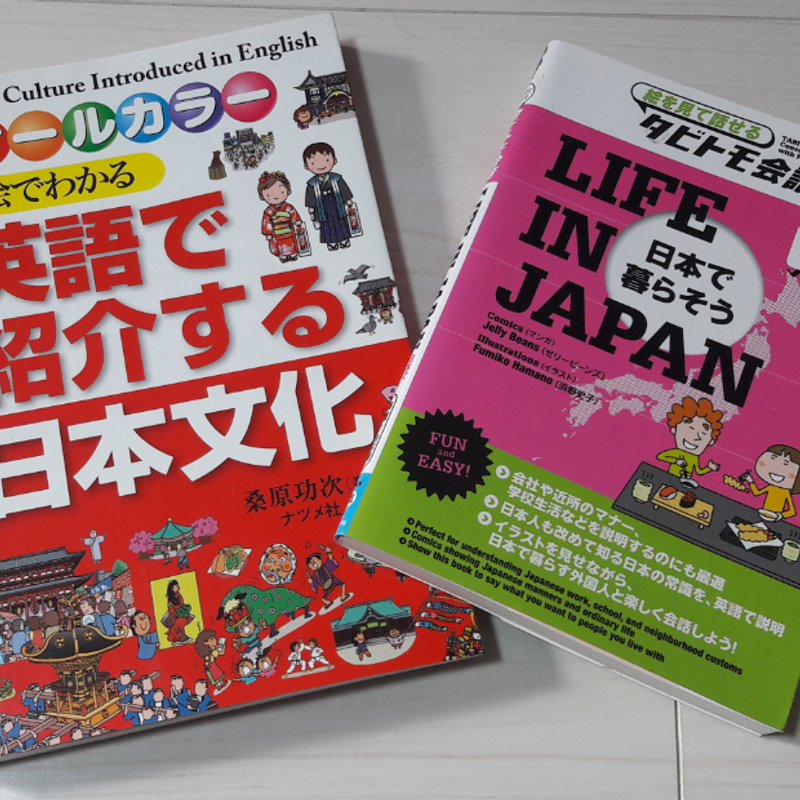 Also, traditional performances such as kabuki, bunraku and kagura, and even sports like karate, judo and sumo are featured as topics and you can get a lot of information about each as well as learn some of the related vocabulary. Especially, when you want to get a big overview about Japanese culture, I can really recommand this book. The price here is ¥1,650. Do you have books like this, too?